Repairing injuries… preventing disease… even transplanting organs: surgeons are literally on the “cutting edge” of medicine. Unless it’s an emergency situation, the surgeon meets with the patient and listens to the problem. The doctor does an examination and considers medical history, lab work and other possible treatments before deciding on the need for surgery. 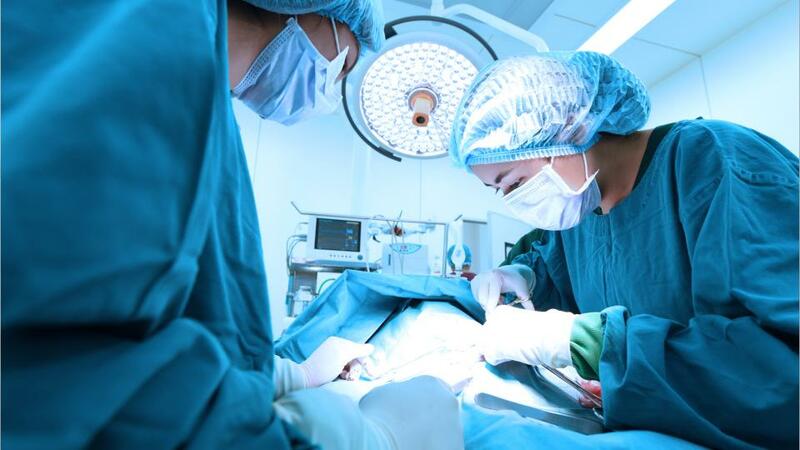 Possessing that famous "good bedside manner" can help in explaining the diagnosis, the risks of the operation, and the patient's responsibilities before and after the procedure. In the operating room, the surgeon is assisted by an entire team. They handle preparation, monitoring and other tasks, so that the surgeon can concentrate on the delicate work involved in operating. Besides extensive medical knowledge, being a surgeon requires exacting precision, dexterity and stamina. Some procedures take hours to perform. After the surgery is over, the surgeon checks patients to see how they are recovering. Emergencies may result in the surgeon being called at any hour of the day or night. Surgeons may manage a busy private practice, or conduct research. They keep detailed records on patients and often write reports. Some develop new surgical techniques that they teach to other surgeons or students. This career requires a significant investment of education. Surgeons tackle a four year bachelor’s degree, followed by four years of medical school, then 5-8 years post-medical school training depending on the surgical specialty. Surgeons make up America's single largest group of medical specialists. Few people come closer to actually holding someone's life in their hands than surgeons do. See more details at O*NET OnLine about surgeons. Surgeons by U.S. Department of Labor, Employment and Training Administration is licensed under a Creative Commons Attribution 4.0 International License.